Imagine a breathtaking 360-degree panorama of water, marsh and harbour that stretches for miles in all directions. Imagine fresh sea breezes and fiery sunsets. Now imagine sharing this magical scene with forty of your closest friends or associates. 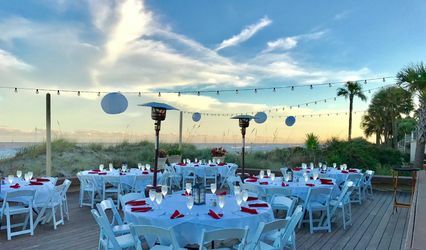 You can, when you hold your next function at the Harbour Town Lighthouse at Sea Pines. 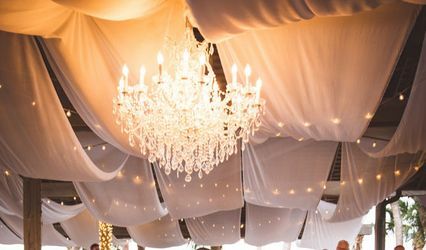 When it comes to the perfect place to hold a truly unforgettable celebration, one thing is sure. 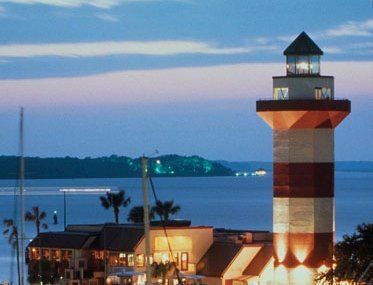 Nothing tops the Harbour Town Lighthouse. 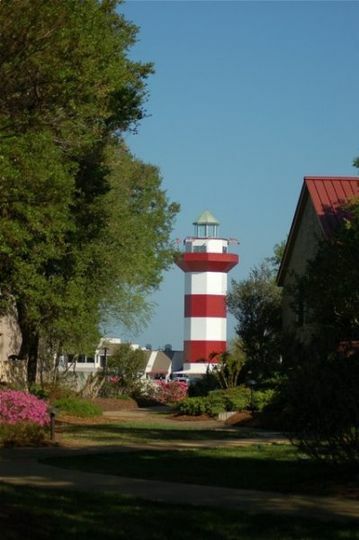 The Island’s best known and best loved landmark, the Harbour Town Lighthouse has been welcoming visitors to Hilton Head for over four decades. 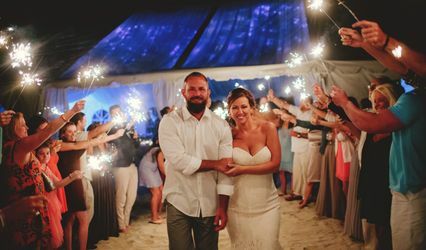 Now it is available to welcome your guests to a cocktail party, reception or special celebration they will be talking about for years to come. 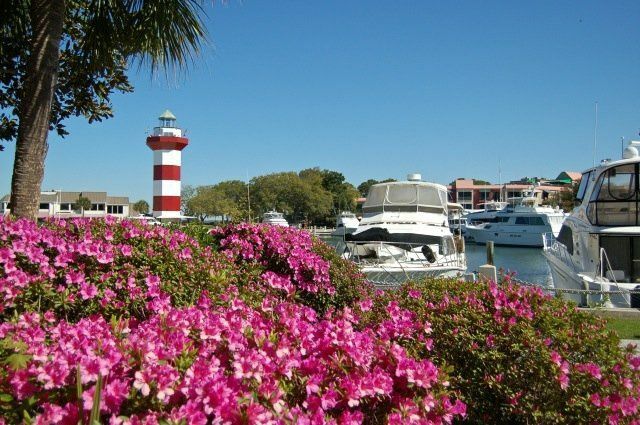 Overlooking the beautiful Harbour Town Yacht Basin with its sleek yachts and fashionable shops, the Lighthouse also offers stunning views of the eighteenth fairway of legendary Harbour Town Golf Links, site of the Heritage Classic since 1969. 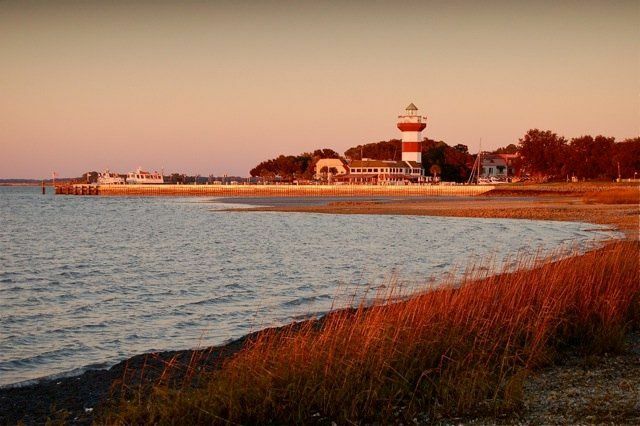 In the distance, across the wide blue waters of Calibogue Sound, you can see Daufuskie Island, where another beacon the Haig Point Lighthouse, shines. And, at dusk, as the sun slowly dips into the sea, you’ll have the best seat on the Island for a technicolor display. It is, in a word, magnificent ! Open for entertaining on a limited basis, this exclusive facility is available for private parties only.Combining a sheltered interior area with a generous wrap-around deck, the Lighthouse can accommodate up to 40 guests for cocktails and hors d’ oeuvres. 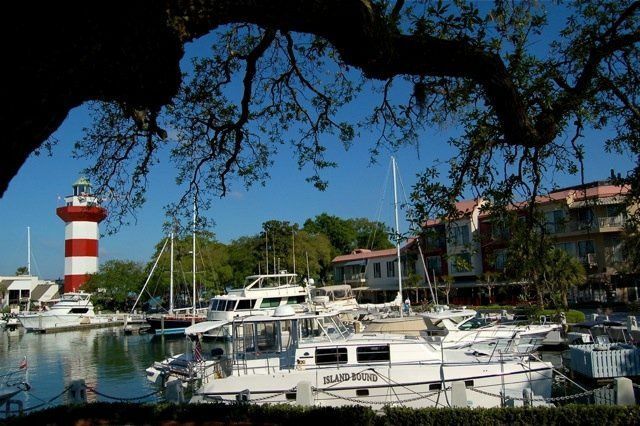 Catering is provided by Harbour Town Yacht Club, whose professional party planners will be happy to custom tailor a menu that suits the needs of your gathering— from super-casual to ultra-elegant. Unique. Exclusive. 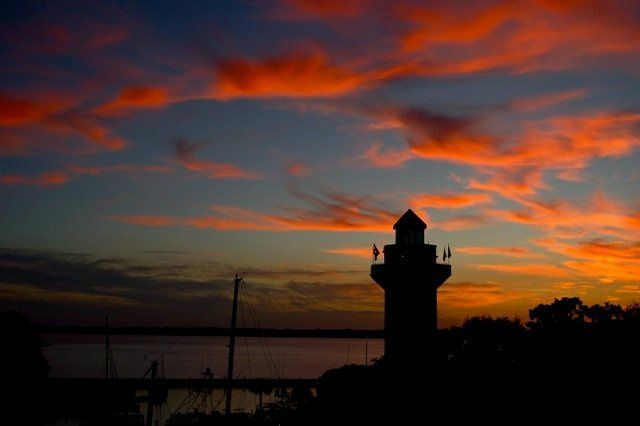 As unusual as it is breathtaking, the Harbour Town Lighthouse is the Island’s most spectacular special event setting. Call Nadia Wagner at 843-671-2810 to reserve it for your next party.